With over 26 years of experience in the manufacturing and retailing industries, M. Susan Chambers serves as the executive vice president of the Global People Division for Wal-Mart Stores, Inc. (Walmart). She is responsible for managing, attracting and retaining the nation’s largest private workforce. Susan worked for 14 years with Hallmark Cards, Inc. where she was the director of applications development before joining Walmart in 1999. She trained for six months in the field as a store and club manager before advancing to senior positions across multiple corporate functions, starting in the information systems division. There she served as a vice president for applications and development merchandising and then as senior vice president of risk and benefits. She was promoted to the role of executive vice president of risk management and benefits administration, with additional responsibilities for global security and aviation. In 2006, Susan was promoted to her current position as executive vice president of the Global People Division. She reports directly to President and CEO Mike Duke. Susan’s role at Walmart also extends beyond traditional human resources responsibilities. Her position at one of the world’s largest private employers allows her the opportunity to be involved in multiple arenas, including workforce development and education. 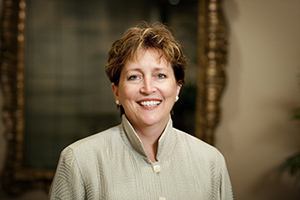 Susan currently serves on the Board of Trustees at Wm Jewell College in Liberty, MO and Duke University, Board of Visitors of The Fuqua School of Business.